The Tacoma, Tundra, and 4Runner will all be get updated versions of the off-road package. 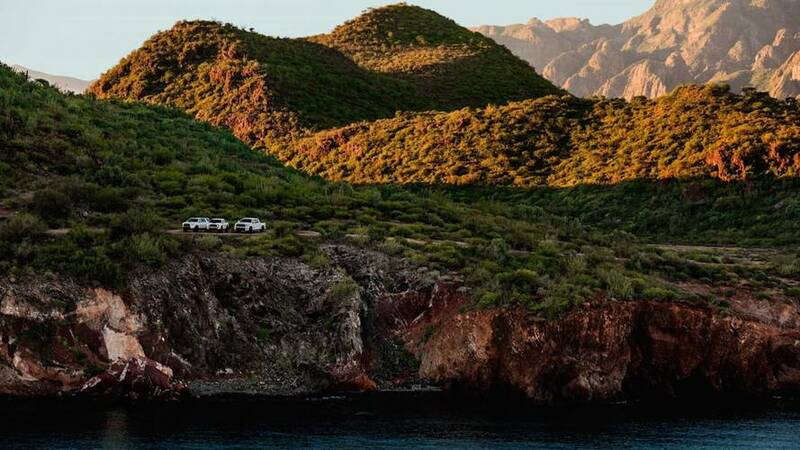 With just a few days left until the opening of the 2018 Chicago Auto Show, Toyota is once again teasing its new and improved 4x4s. Confirming our initial suspicions, we now know that the marque will show off its 2019 TRD Pro range, which will include updated versions of the Tundra and Tacoma pickups, and 4Runner SUV. The first teaser previewed all three vehicles, off in the distance of some lush landscape somewhere. 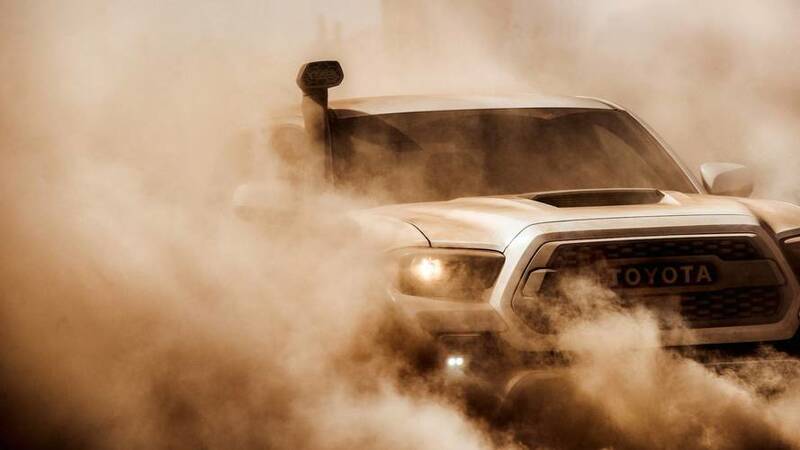 The second teaser is a bit more telling, and shows off the front fascia of the Tacoma TRD Pro almost in its entirety, obscured partially by dust. But even behind the dust, there is one unique new feature to point out. In the lone image of the new Tacoma TRD Pro, we can see the addition of an intake snorkel. For those unfamiliar with the feature, the snorkel prevents the intake from sucking up water while the vehicle in question wades through high streams or rivers. Otherwise, the look of the Tacoma TRD Pro looks mostly in line with the outgoing model – at least at first glance. With some minor tweaks to the styling, we also imagine that Toyota will make some updates in terms of equipment, too. 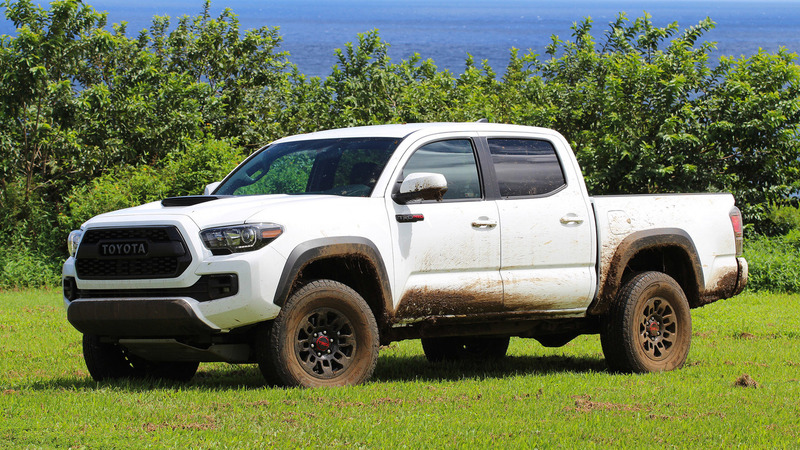 Currently the TRD Pro package offers unique suspension tuning to make the Tundra, Tacoma, and 4Runner even more capable off road. 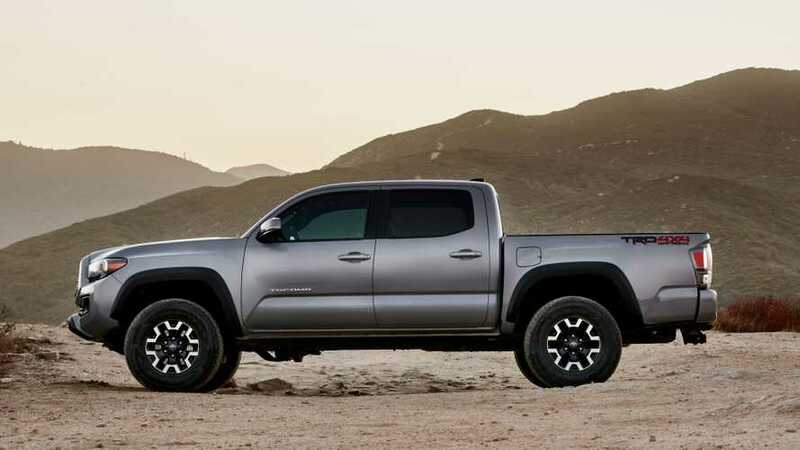 Available with either a one- or two-inch lift, custom TRD exhaust tips, skid plates, and upgraded off-road tires, the 2019 model should be even more capable. Apart from the two teaser images we’ve already seen, we won’t know much else about the updated TRD Pro range until the trio makes their debut in Chicago. Doors open to the media this Thursday, February 8. 2019 Toyota 4Runner Nightshade Special Edition, Tacoma SX Package, and Tundra SX Package.